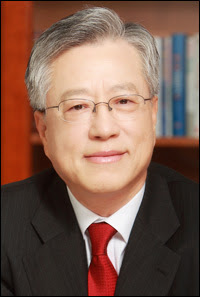 SHAREHOLDERS of KT Corp have approved the appointment of Lee Suk Chae, the former information minister, as its new chief executive officer. His term will run until 2012. His immediate task, I guess would be to get the KT-KT Freetel Co merger go through. KT - the biggest telecommunications company in South Korea, which manages about 90 per cent of the country's fixed-line telephony customers and nearly 45 per cent of broadband users - needs to acquire KT Freetel, its mobile unit, as its traditional fixed-line business is declining.